Labor economists predict that 65% of today's primary school students will be in jobs that haven't been invented yet. How can we prepare our students for a world no one can see coming? At Breakpoint Technology, we are confident it is possible to effectively prepare students for the future, even a fuzzy one. 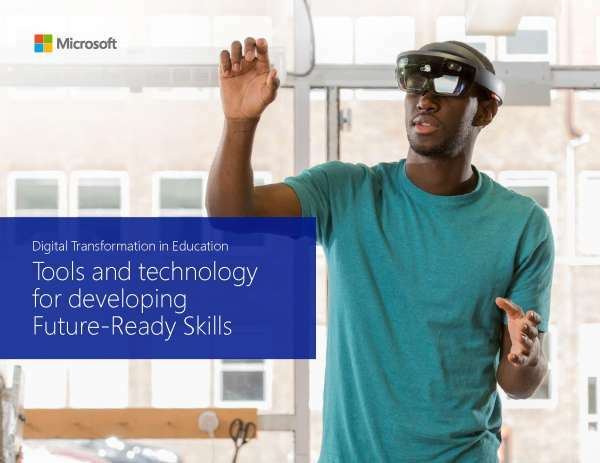 Microsoft focuses on using technology in ways that develop soft skills, such as creativity and communication; planting the seed early on for students to work in harmony with technology to solve business problems. Contact us to learn more about the tools Microsoft is implementing to achieve these objectives.